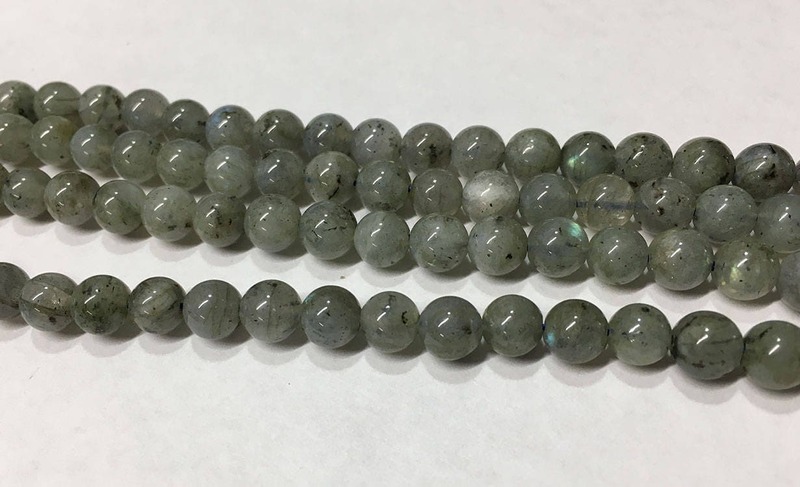 Labradorite smooth round beads are 6mm in size. Labradorite displays a beautiful iridescent play of colors, caused by internal fractures in the mineral that reflect light back and forth. There are approx 33 beads per 8 inch strand.